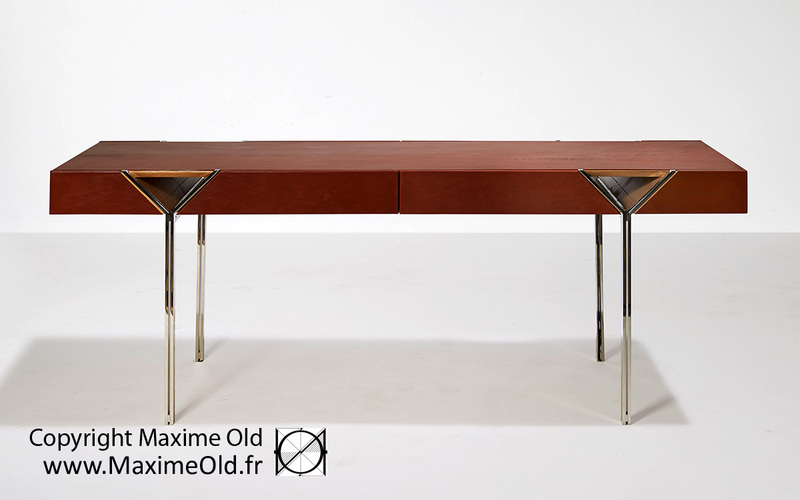 The Maxime Old Y Desk, working table, wholly leather sheathed, is the closed version, with drawers. 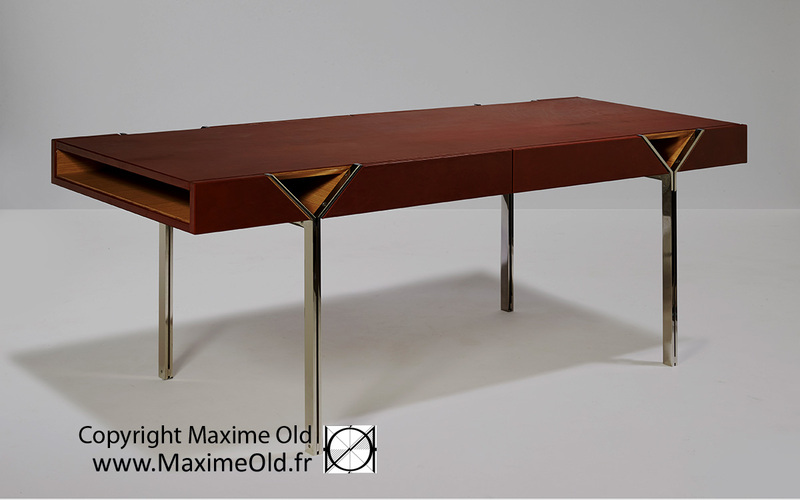 There is an opened version, with sliding glass tops and a console table. Many different combinations of materials have been foreseen in order to be realised based on this Y design. As Maxime Old did, we may study them on request for a customer looking for a unique piece. 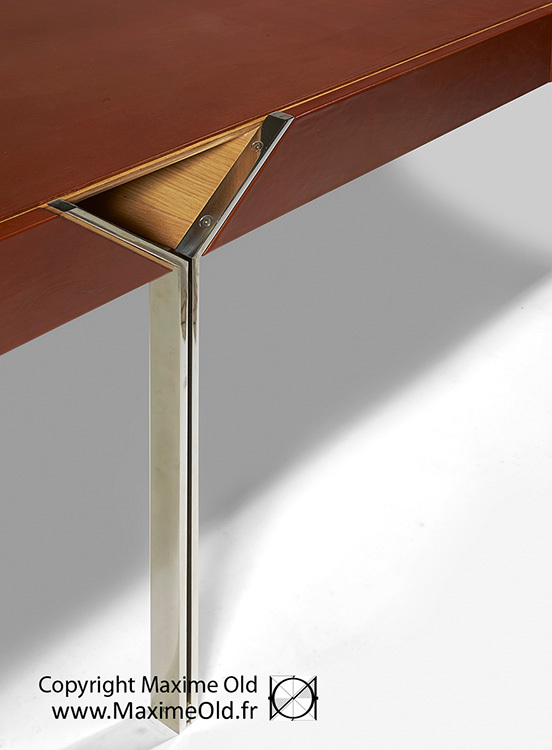 The Y Desk is part of the “Paquebot France Collection” (TM). Dimensions (HxDxW) : 75 x 80 x 200 cm. Materials : Stainless Steel, Oak and Leather or Glass.